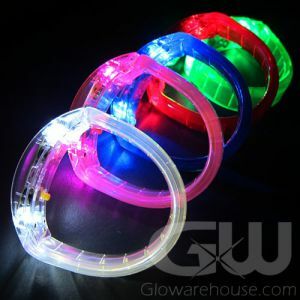 - Flashing Fiber Optic Bracelets! 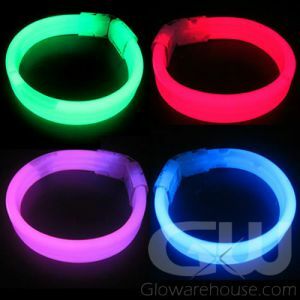 - Bracelet Wraps Around Wrist! Fits Everbody! 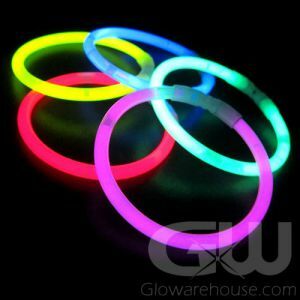 - Glow Runs! 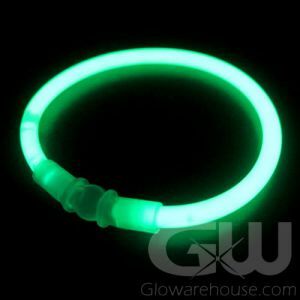 Glow in the Dark Parties! 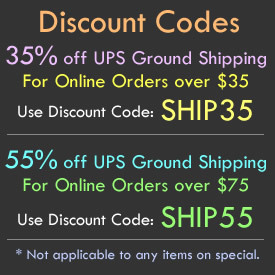 Concerts! 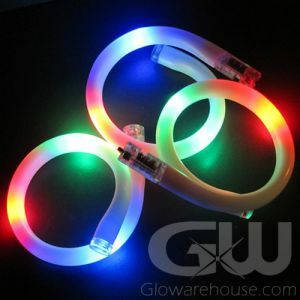 Light Up Fiber Optic Bracelets are really bright and really easy to use! 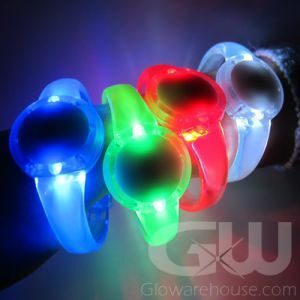 Just turn them on and then put them around your wrist - no clasps or connectors to deal with. And because they're 11 inches long and coil around the wrist, these bracelets will fit almost any wrist size, from children to adults. 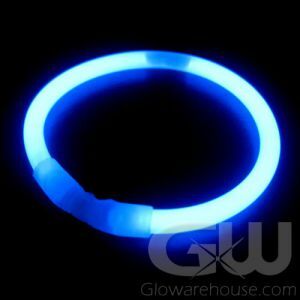 These bracelets are perfect for fundraising at school dances, glow runs, concerts, festivals and even glow in the dark birthday parties! 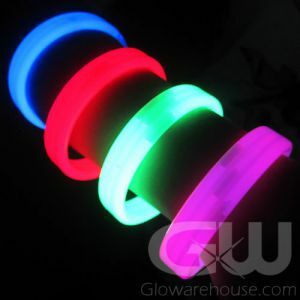 Glow Bracelets create a dazzling effect as the fiber optics inside light up the whole bracelet. 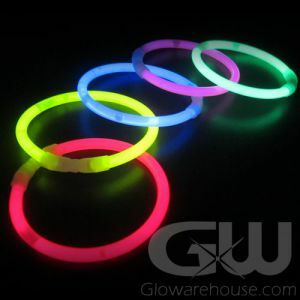 Brighten up your event and surprise your guests with the affordable and bright LED Bracelets. 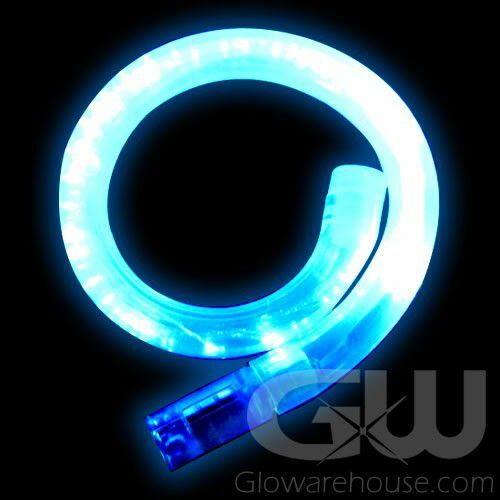 The Lighted Fiber Optice Bracelets are a 1/2 inch in thickness and 11 Inches long when stretched out straight. Batteries are included and pre-installed.